Super Savings Item! Free Shipping Included! Save 37% on the meShare Outdoor Camera 1080p【with Free 6-Month Premium Cloud Recording】, Wireless Security Camera with Motion Alerts, Night Vision, and Weatherproof, Works with Alexa (2 Pack) by meShare at N Online Agency. MPN: MS002C-2. Hurry! Limited time offer. Offer valid only while supplies last. 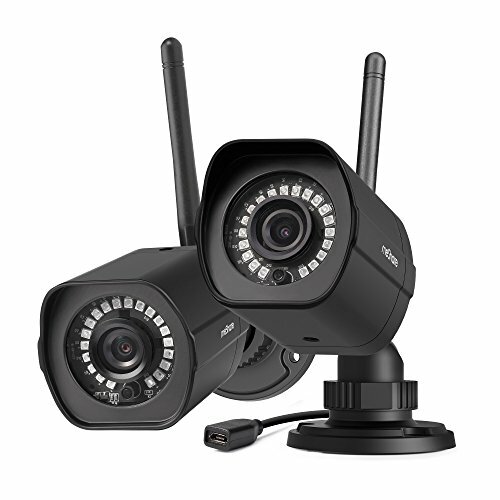 【1080p Full HD】Non-stop monitoring outdoor camera with 1080p HD provides a clear, sharp video both day and night(Infrared night vision can see up to 65ft away). IP65 Weatherproof feature allows you to keep monitoring outside whenever rain or shine. 【Free 6-Month Cloud Service】meShare security camera includes a free 6-month, 7-day, intelligent continuous recording premium cloud service plan(Valued $45). The cloud service features optimized algorithm motion alerts, 24/7 intelligent recording, flashback, and you can customize, share or download footage at any time.